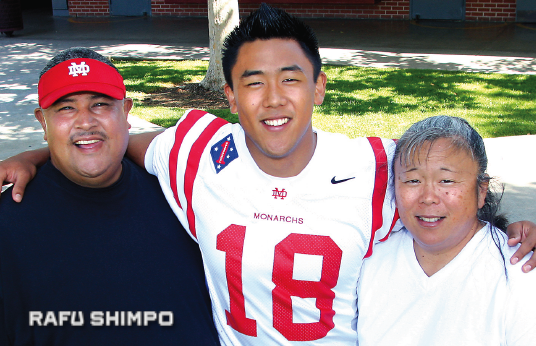 Finishing high school at Mater Dei and on his way to UCLA in 2013. Thomas Duarte, the junior UCLA wide receiver and former Mater Dei high star, has set his sights on the professional ranks, opting to forgo his senior season with the Bruins and enter the 2016 NFL draft. Duarte’s father, Tim, broke the news to The Orange County Register on Jan. 12, and Duarte himself confirmed the decision on Twitter. Duarte and UCLA senior teammate Jordan Payton were the favorite targets of sophomore quarterback Josh Rosen, whose passes were directed at the two receivers more than 40 percent of the time. 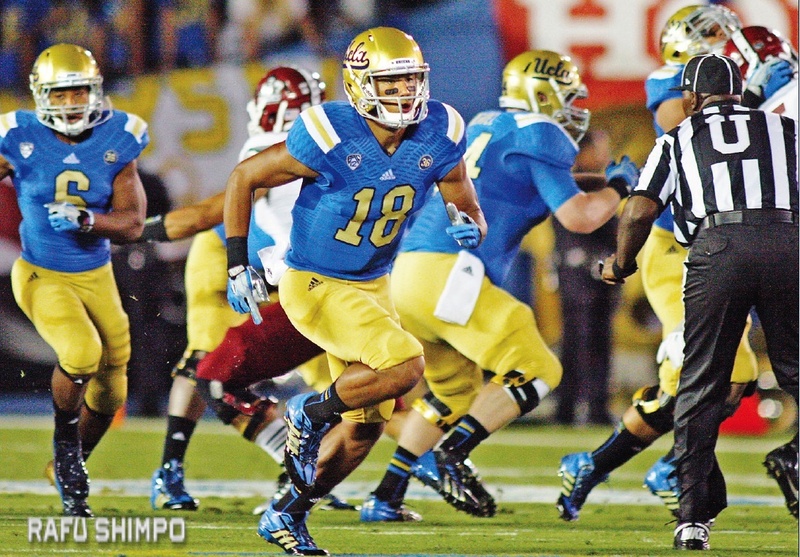 Duarte had 53 receptions and 10 touchdowns for the Bruins last season. Tim Duarte said his son filed his NFL paperwork on Jan. 11, after receiving a third-round rating from the league’s draft advisory committee. The elder Duarte also told The Register that the loss of offensive coordinator Noel Mazzone to Texas A&M was a major deciding factor. Six UCLA underclassmen have opted to leave school early and try for a professional career with the NFL. As of last Friday, CBS Sports had the 6-foot-2, 225-pound Duarte ranked No. 22 on its list of top wide receiver draft prospects. The 2016 NFL draft will be held April 28-30, in a location to be determined. It’s no stretch to say that the NFL has been on Duarte’s radar from some time. In a 2013 Rafu Shimpo interview, he told editor Gwen Muranaka that the pros were certainly a goal of his.